Search for the best flight prices from Manchester to Ercan. Compare prices, book today and save money with Manchester Airport. There’s little in Ercan itself you’ll want to stay for. 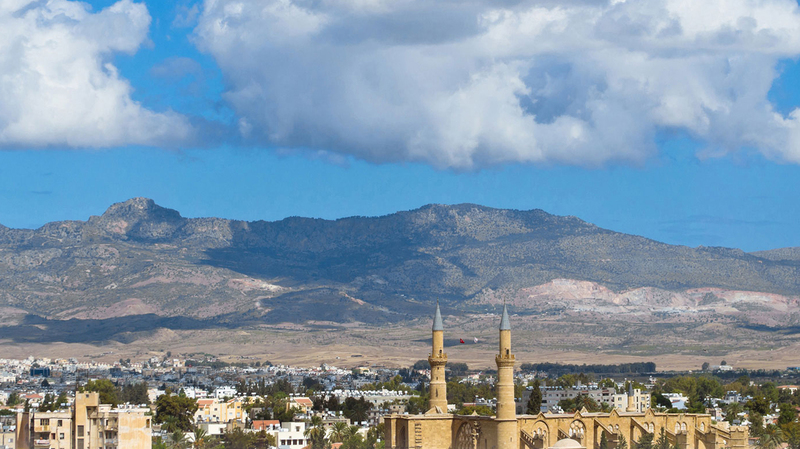 Travel more widely, however, and you’ll make new discoveries at every turn, on the coast at resorts including Kyrenia and inland at its delightful (but divided) capital Nicosia. Now opening up to visitors, Northern Cyprus is quieter and less developed than its southern neighbour, but that won’t last long. Pioneer now and you’ll have this half of the island to yourself. From Ercan Airport, the Cypriot capital Nicosia and the Famagusta region's bounty of beach resorts is within easy reach. Ayia Napa has the most accommodation choice, and those looking for beachside glamour won't be disappointed. Right on the sand, Adams Beach Hotel (Nissi Avenue) sums up relaxed-chic living. A cheaper, family-friendly option is Bella Napa Bay Hotel (47 Kriou Nerou Street). If you're more history buff than sunbathing fan, the super-friendly service at Asty Hotel (12 Prigkipos Karolou Street) in Nicosia is a wallet-friendly winner. Don't go home without squeezing some of the island's famous lace into your suitcase. Nicosia's Laiki Geitonia neighbourhood is the place to search out traditional Cypriot crafts. For a truly original memory of your trip, head to Golden Gallery (Mnasiadou Street) to pick up art by local painters. If you're more into bagging a designer bargain, Stasikratous Street and the surrounding roads, are the area to start. Check out the funky jewellery by local designer Nicos Ioannou (79 Onassagorou Street) while here. Too lazy to head to the city to shop? Ayia Napa's Nissi Avenue is crammed full of souvenir stores while Makarios Avenue is the beach town's favoured fashionista haunt. In Nicosia, the fishy flavours of Pyxida Tavern (5 Menandros Street) have been making seafood aficionados salivate for years. For authentic Mediterranean meze banquets, anyone who's anyone in the city heads to Aigaio (Ektoros Street). Finish off with cocktails at hip Occhio Lounge (23 Alkeou Street) for the perfect end to an evening. Ayia Napa's restaurant scene has an emphasis on international cuisine. Clarabel Restaurant (Makarios Avenue) is a top spot for generous portions of Cypriot cooking. Nightlife here is busy and loud. The Live Lounge (24 Katalympta Street) bucks the dance music trend to offer indie classics, while the DJs at Castle Club (20 Louka Louka Street) keep the hip young things entertained with three floors of music. Ancient Greek Drama Festival July-August The classic comedies, dramas and tragedies of the ancient Greeks are brought to life in a series of performances that are staged within theatre ruins throughout the island. In Nicosia, the events take place at Makarios III Amphitheatre. Held in the grounds of Ayia Napa's atmospheric monastery, this festival highlights the traditions of Cyprus through folk dance performances, theatre and music concerts. There are art exhibitions and local crafts for sale throughout the festival. If you happen to be on the island on 1 October, don't miss the military parade and pomp which celebrates Cypriot independence from the British. The action takes place in Nicosia's city centre. A series of concerts, music recitals and theatre is organised throughout the winter months in Ayia Napa's town hall.